Harrison M. Wadsworth III serves as the Executive Director of the International Education Council, a worldwide association of colleges and universities outside of the United States that participate in the U.S. Government student loan programs. He is an expert on the U.S. laws and regulations and advocates before the U.S. Government and the Congress on behalf of IEC members. In addition, he prepares Department of Education institutional eligibility applications and consults for individual institutions. He is a principal of Washington Partners, LLC, a Washington, DC-based government and public relations consulting firm, a position he has held since helping create the firm in 2002. He served as a primary negotiator in the Department of Education’s negotiated rulemaking sessions on “Foreign School Issues” in 2009-2010 and also participated in other sessions. He previously served for seven years as the vice president of an association working on U.S. student loan financing and other higher education issues. 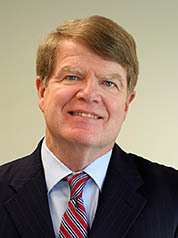 Mr. Wadsworth served for eight years as legislative director and press secretary for former U.S. Congressman Bart Gordon, the chairman of the House Science and Technology Committee. He also worked for seven years as a newspaper reporter and editor in California. Harrison received a BA in Mass Communications from the University of California, Davis and an MA in International Economics and Security Studies from The Johns Hopkins University School of Advanced International Studies.